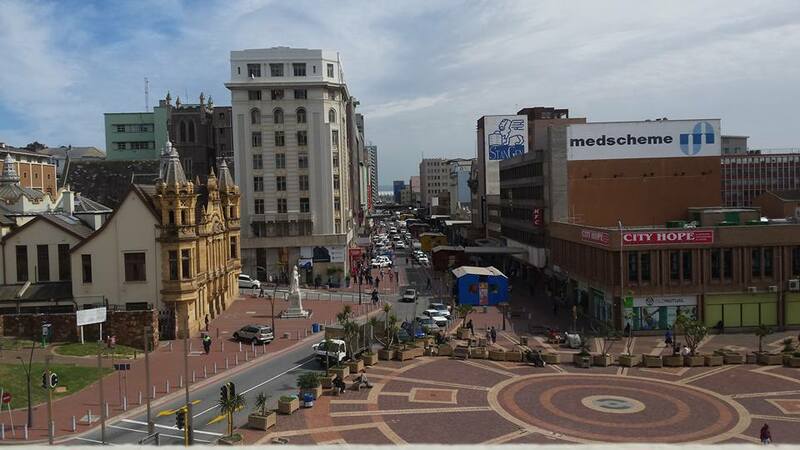 The building located on the corner of Main and Jetty Streets, once formed a prominent part not only of the history of Port Elizabeth, but also the elegance of Market Square. In 1978, was demolished to make way for a bus station. In those far-off days, a very different town existed. 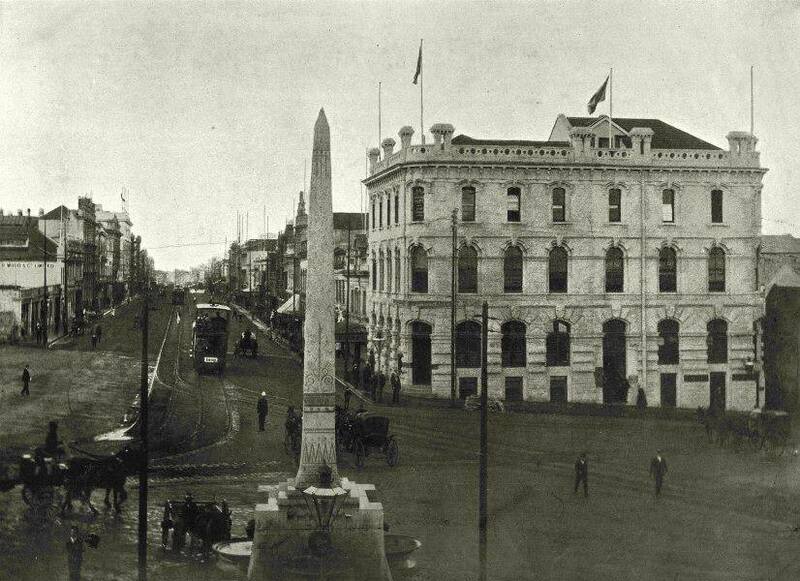 Main Street is unrecognisable from what it looks like today as it has been substantially rebuilt over the years. During its initial iteration, it comprised mainly single and double storey buildings with a shop or a workshop on the ground floor and the family’s residence on the first floor. Most of these initial buildings made no pretence at being elegant. According to various reports, they were shoddily constructed by their occupants whose competence as builders was suspect, at best. During the period from 1820 to 1872, this site was occupied by various tenants. 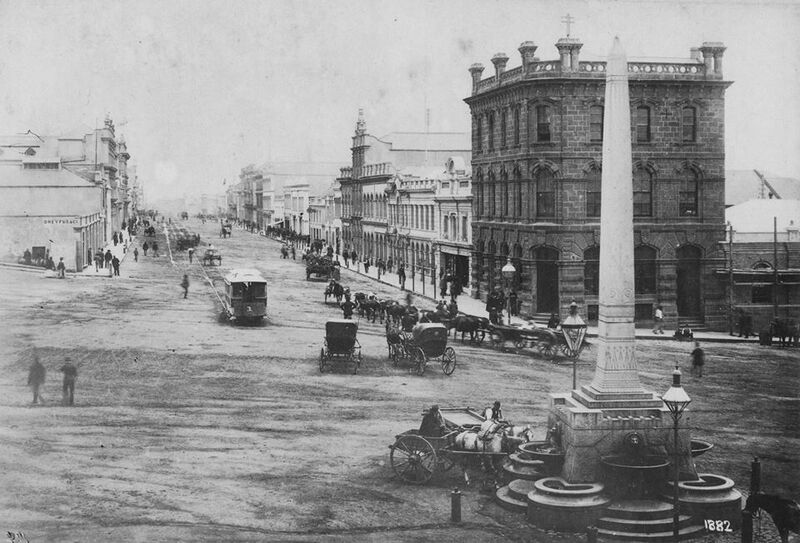 Amongst them on the northwestern corner of the square, was a small greengrocer’s shop owned by a Malay named Lagerdien. 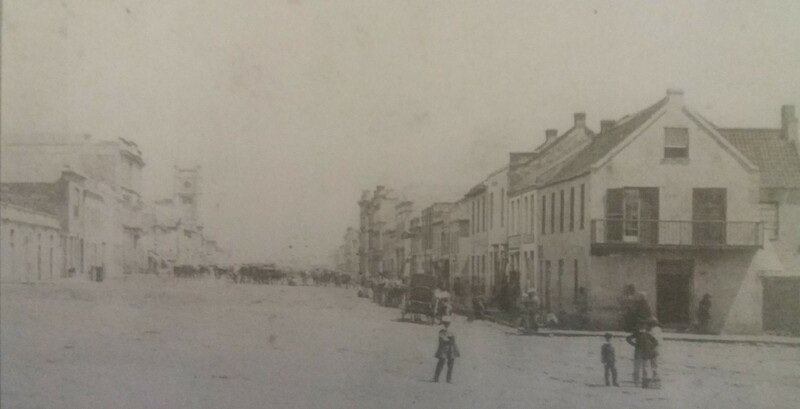 On the corner facing Main Street was Hendricks & Lucas, the butchers, whilst the upstairs portion of the building was used as the office of the Deputy-Sheriff Thomas Melvil du Toit, law agent. was constructed for The London and South Africa Bank. This Bank had been established in 1860. 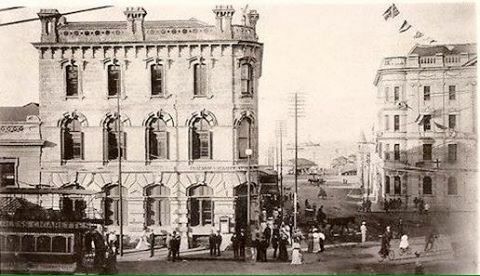 After being absorbed into Standard Bank during 1877, this building was taken over by the Post Office. Until 1901, the Post Office occupied this building at which point it was taken over by the Union-Castle Company. In 1978, it was demolished to make way for a bus station. Are there any old photos of Strand Street where my family had the old HALLIS AND CO. 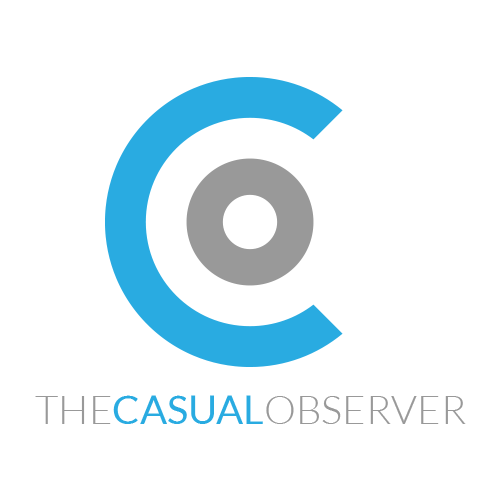 They printed the first callenders IN SA as well as postcards. The business was established in 1860. I don’t have any photos of Strand Street. I do have a photo framed by your family. I’d love to find out more about it. Please contact me if you’d like to see the photo.